Taking previous releases of Apple’s little black box into consideration, it’s actually rather difficult to get that excited about the prospect of a spec-bumped Apple TV. Apple’s utterances of a "minor" refresh appeared confirmed when it was revealed last year that the next device would sport an A5 processor. 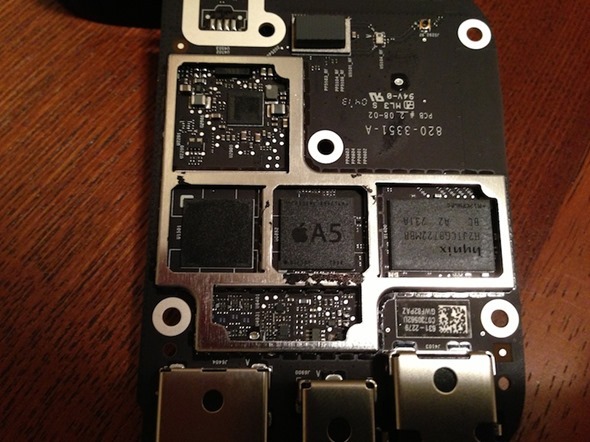 Despite this, software files for the new device appeared to indicate it would house an A5X chip, but any hope of that would now seem diminished by MacRumors’ confirmation, with the Apple blog having disassembled and scrutinized one of the new units. Apple’s minuscule set-top box, which Tim Cook described as a "hobby" back when he was a mere COO, was probably served its most significant upgrade last year. Although perhaps overshadowed by the announcement of the third-generation iPad, the Apple TV packed in a single-core A5, and, more significantly, offered 1080p playback. These new model (number A1469) contains a downsized A5 within, and in actual fact, it’s a whole 50 per cent smaller than the SoC packed into the version released last year. As MacRumors makes note of in its report, it is, as yet, unknown as to whether this modified chip is the product of arch-rival Samsung. It’s no secret that Apple is looking to decrease its reliance on the Korean company for so many of its device’s components, and with rumored successor TSMC also going smaller with its chips, it is hard to gauge which of the two is responsible for this new A5. What is interesting, though, is that if Samsung is not behind the chip, it will not only be the first Apple TV to release without a Samsung chip, but indeed the first iOS device at all. 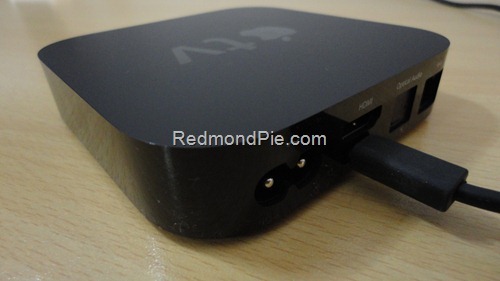 Although some may erroneously consider this to be the fourth-gen Apple TV – particularly given the timing of the release – it is only a refresh, with the processor alteration being the only notable difference. It’s unlikely to prompt current Apple TV owners to replace their current version, and I suspect the differences are largely imperceptible in general usage. Similarly, on the outside, the refreshed version is as you were, maintaining that shiny black, minimalistic form factor.